Filing bankruptcy can help a person by discarding debt or making a plan to repay debts. A bankruptcy case normally begins when the debtor files a petition with the bankruptcy court. A petition may be filed by an individual, by spouses together, or by a corporation or other entity. Bankruptcy Basics provides detailed information about filing. The rules of procedure that govern how Bankruptcy Courts operate are called the Federal Rules of Bankruptcy Procedure. Seeking the advice of a qualified lawyer is strongly recommended because bankruptcy has long-term financial and legal consequences. Individuals can file bankruptcy without a lawyer, which is called filing pro se. Learn more. 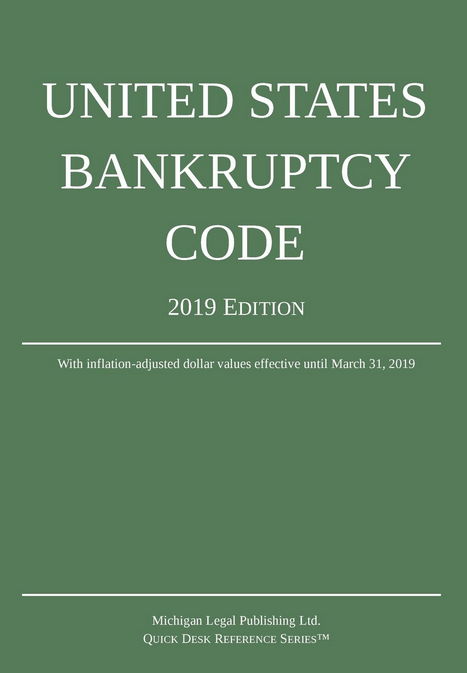 You can either browse the Bankruptcy Code using the menu on the right side of you screen or you can proceed directly to the Table of Contents.